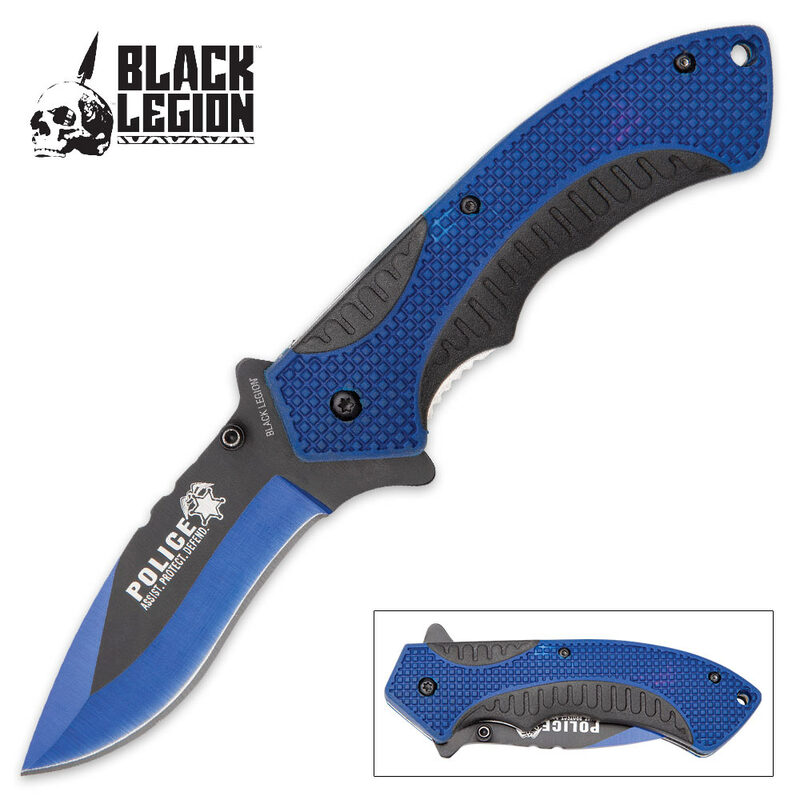 Black Legion Police Rescue Pocket Knife | BUDK.com - Knives & Swords At The Lowest Prices! Black Legion continues its standard of excellence with an exceptional pocket knife that pays homage to our Hometown Heroes - Police Officers! Not only is this knife good-looking, it’s also a great everyday carry when you’re on the job. It has a 3 3/4” rust-resistant stainless steel blade that features a Police Officer shield and the words “Assist. Protect. 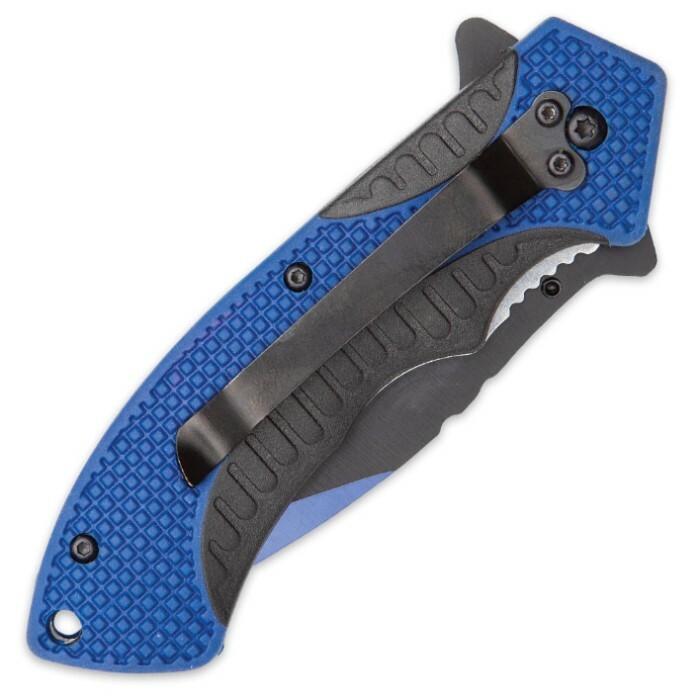 Defend.” The black and blue drop point blade is truly striking and has a thumb stud and a flipper for ease of opening. The handle is of durable black plastic and a blue textured rubber to give you a sure grip. 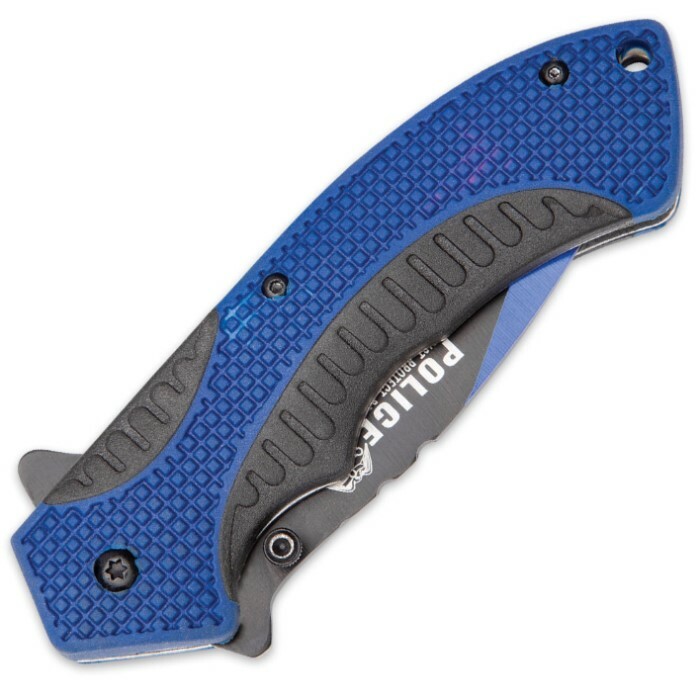 The pocket knife also has a sturdy pocket clip for ease of carry. Just got this Knife .Not bad at all for the price .Assist opening nice handle feels good in my hand .Needed a little sharping but with some stone work it will dry shave you . Need a good pocket knife this is a good choice . 100% satisfied .